As many of you might know, I have been a sponsored shooter for Team Armscor. That relationship also included (by my choice, not a contract requirement) the use of the outstanding Rock Island Armory line of pistols. I have successfully used a RIA to win the inaugural and followup I.D.P.A. B.U.G. national championship, and have also used their .40 1911 and 9mm 1911 (5 inch guns) successfully in many matches. Recently I was presented an opportunity to work with the Wilson Combat Team (Custom 1911 line, AR-15 variant rifles, and Combat Shotguns) on a variety of projects including the opportunity to shoot their 1911 line in competions and have accepted that offer. I will continue my relationship with team Armscor, and will likely test and continue to write about the Rock Island Armory line of guns. Please see the partial announcement below and you can click the link for the full text! The Wilson Combat is pleased to announce the addition of professional shooter and firearms trainer Mike Seeklander to Team Wilson Combat. Shooting the I.D.P.A. B.U.G. National Championship. I really recommend trying different sports and seeing what they have to offer!! practical shooting Champion. Mike also has extensive military and law enforcement experience-both as a trainer and in an operational capacity and Combat Veteran of the United States Marine Corps. 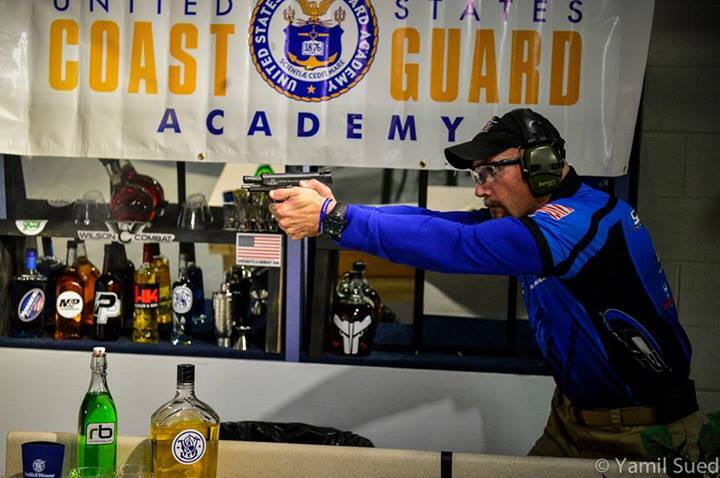 Seeklander was formerly lead instructor for the Federal Air Marshals Firearms Division, Chief Operating Officer at the US Shooting Academy, and is now the current owner of Shooting-Performance Training Systems and the founder of the American Warrior Society. Mike adds to this experience with more than 15 years in various martial arts holding multiple ranks including a Black Belt in Okinawan Freestyle Karate. Mike is also the co-host of The Best Defense, the Outdoor Channel’s leading firearm instructional show as well as Rapid Fire, a fun and exciting face paced show covering a spectrum of fully automatic machine guns. “We are extremely excited to have Mike on our team. He will be a fantastic representative of Wilson Combat as his depth of tactical skills go far beyond just great shooting.” says Bill Wilson, President of Wilson Combat. Congratulations! It’s rewarding when the hard work pays off. ← Why Carry A Gun? The Answer Might Surprise You.